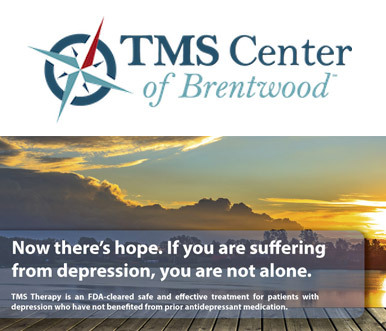 TMS uses targeted magnetic pulses to electrically stimulate a specific area of the brain known to be underactive in depression. This area, the left prefrontal cortex, lies near the surface of the brain, but connects to deeper areas of the brain known as the limbic system, which regulates mood. By stimulating this area of the brain over several weeks, the nerve cells are trained to grow and become more active. Eventually, they resume sending normal electrochemical signals, brain function returns, and depressive symptoms resolve.